For years I've been saying that it would be cool to have a sundial in the yard! 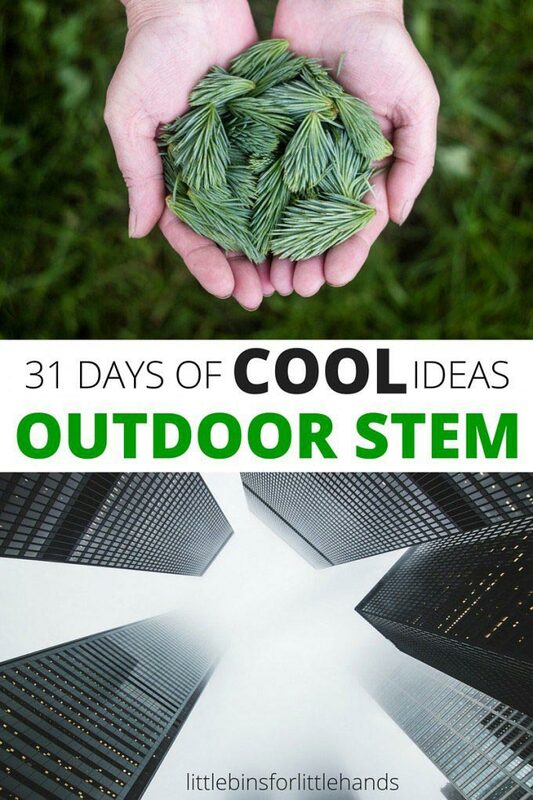 For the 31 Days of Outdoor STEM series this month, we constructed a sundial for our back garden using natural items along with a little 'pop' of color! I'll be the first to say this isn't the perfect mathematical way to create a sundial -- for that, you would need to do some really accurate measurements with degrees and latitude and such. Most kids won't have the understanding or patience for this so our goal was really more of creating a hands-on learning experience with an ancient STEM tool. In addition to the building details, we're also sharing affiliate links for items we used for our project. 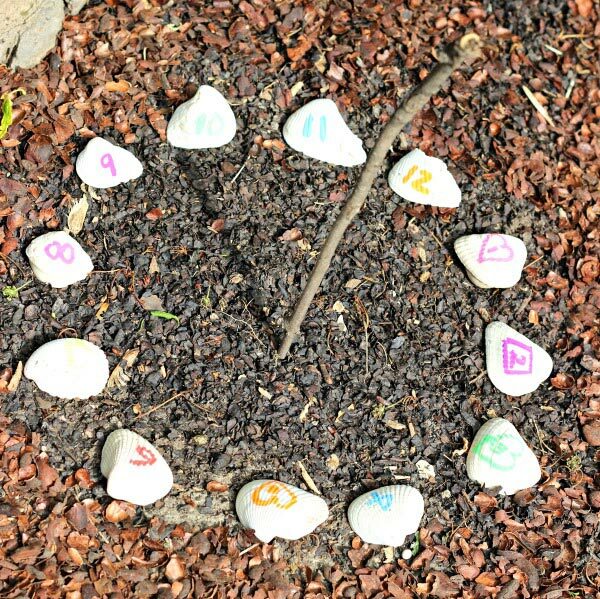 To build your own sundial, you'll need a stick, 12 rocks or Sea Shells, some paint or markers, and a place in the yard that gets some sun! 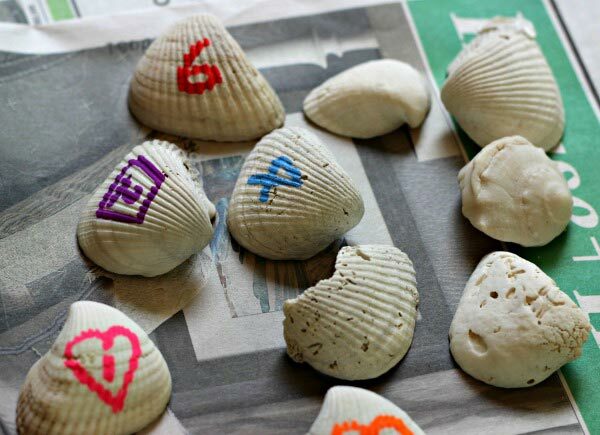 We decided to use sea shells and decorate them with Chalk Markers. 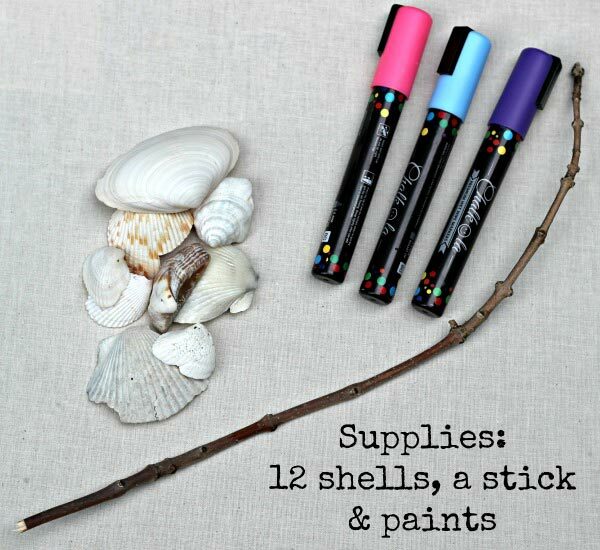 If you want to use chalk markers or acrylic paints and NOT have to redo your numbers, use Mod Podge or Clear Nail Polish over the numbers once they dry and you'll create a more water-resistant finish on your shells. 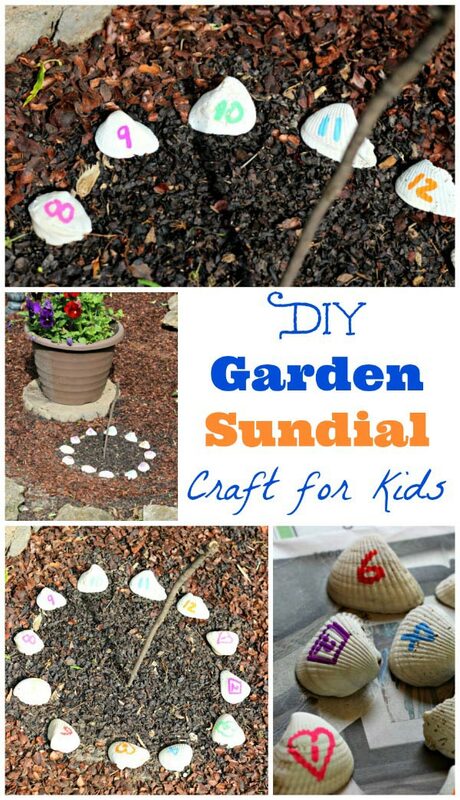 Step 1: First, find a sunny area (preferably in a garden or flower bed) where you can build your sundial. You'll probably need a circular area that measures between 10 - 12 inches in diameter. I'm working on some fun kid-friendly additions to our back flower garden (which I'll share with you next week!) so we decided to put ours in this area. Step 2: Put one end of your stick into the ground so the opposite end points towards the sky. The goal is when the sun is directly overhead at 12 noon, you want the shadow of your stick to be the shortest. We used a clock to time the shadown between 10 am and 1 pm to mark the point where the shadow was shortest on the circle. Step 3: Once you find the shortest shadow, place a marker at that spot for 12. 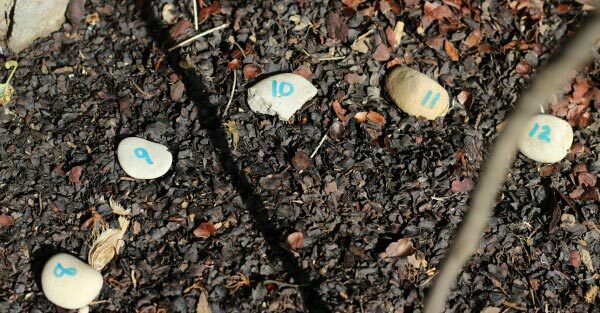 I took a few small rocks and numbered them to use as placeholders while we were timing our stick's shadow and decorating our seashells. Step 4: Check the stick's shadow on the hour to get an idea of how far apart your seashells or rocks will need to be on your circle. In theory, each rock or seashell would be equi-distance from one another on the circumference of your circle but that really will depend on where you live since the sun varies by latitude. We found that we had to widen our circle -- we began with an area that had a diameter of 8 inches and had to increase it to 10 inches in order for our shells to fit and not be too crowded. 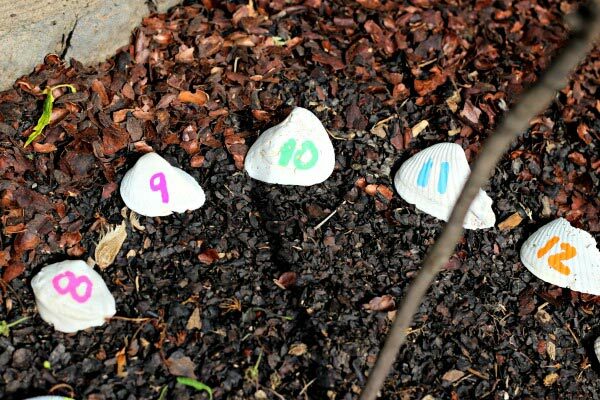 Step 5: Decorate your sundial's seashells and write the numbers 1 - 12 on each one. This is the fun part so give the kids time if they want to come up with a cool theme or style! 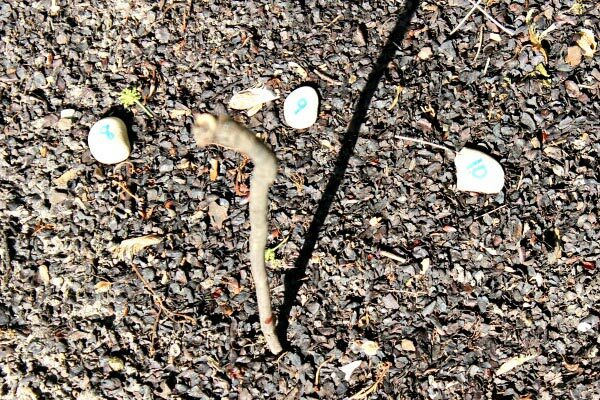 Step 6: Based on your stick markings (or place markers like our rocks), set up your sundial clock by placing the shells where the shadow falls on each hour. Once we had our shells in place, we checked the sundial on various hours the next day to see how our clock was working. We had to adjust a few of our shells but overall, the sundial was pretty good at telling time! We found that in the morning (10 am, 11 am) our shells were off by about 10 minutes. To adjust for this, you can try tilting your stick instead of moving the shells. Be sure to talk with your kids as you observe the shadow moving -- this is a great opportunity to introduce how the sun rises in the east, sets in the west and casts a shadow based on its position in the sky. And if you don't have a permenant spot for your sundial, try making a portable sundial with this Mosaic Sundial Garden Art Kit which can be put on your grass and picked up when you have to mow. Ancient Science: 40 Time-Traveling, World-Exploring, History-Making Activities for Kids which explores all types of cool ways that ancient societies used science! And I love the Anno books for STEM topics but you may have to check out your library as they are an older series. Anno's Sundial explains the Earth's movements and how sundials work so it's a perfect one to read with this activity! Really like your natural sundial. So simple.